Sheikh Abu Saad al-Ansari, a senior religious figure in Mosul, northern Iraq, revealed earlier this year that the Islamic State of Iraq and Syria (IS) has approved its first annual budget of$2bn for 2015, with an expected surplus of $250m. David S Cohen, the US Treasury’s Under Secretary for Terrorism and Financial Intelligence, has also seemingly confirmed this number by saying that the budget for the areas controlled by IS was more than $2bn a year. If true, this would make IS the wealthiest “jihadi” movement in history, exceeding even the central branch of al-Qaeda. While the international community has increasingly rallied around the cause and moved to impose a string of financial sanctions, the impact of these moves has been difficult to ascertain due to the lack of transparency of some regional governments. In order to move forward more effectively, we must better understand the murky but complex funding structure that is spread out across three main streams of criminal activity, internal revenue and foreign income – a division that has so far limited attempts to stop IS from getting richer. In an article in Foreign Affairs, Louise Shelley has pointed out that IS’s revenues are largely derived from smuggling operations, blackmail and organised crime. Ransom revenues from the kidnapping of foreign citizens, such as employees of international organisations and Western journalists, have helped to raise untold millions, but their realm of operations is much broader. According to medical sources in Mosul, IS has been specialising in the trafficking of human organs harvested from the bodies of kidnapped captives, dead soldiers and injured prisoners. The Office of the High Commissioner for Human Rights (OHCHR) has also claimed that the group sells bodies and organs of injured people they arrest. Through this trade, IS is believed to have established links with international mafia groups as well as medical institutions abroad. The extent of these kinds of activities however is contested. Mohamad Allouch, a Lebanese researcher specialising in Islamist groups and author of ISIS and Its Sisters says he is skeptical about these reports, arguing that there is no Sunni jurisprudential texts that allow the offering or trading of human organs. Drug trafficking is also believed to be contributing to IS coffers. According to the Russian Federal Drug Control Service, ISIS drug money is transforming the city of Nineveh, adjacent to Turkish borders, into a new centre for drug trafficking. It claimed that IS was gaining $1bn annually from sales throughout its conquered lands by providing half of the total heroin supplied to Europe via destabilised Iraq and some unstable African countries. Allouch has also queried these allegations, saying that the proof was limited at best, although he has pointed out that drug smuggling might be allowed to non-Muslims under the pretext of the war requirements. The trafficking of people has been better documented, both by aid groups and IS, which hasproduced several texts on the matter. There are now believed to be human trafficking networks in Mosul and Raqqa, where Yazidi and Christian women and children have been sold into slavery. A report by OHCHR has confirmed that more than 25,000 women and children have been imprisoned, sexually violated and sold by IS as war captives. In addition, IS has also reportedly profited from smuggling of migrants, with witnesses saying that they have paid up to $8,000 each to IS to be allowed to travel to Turkey in hope of escaping the fighting, indicating that as long as the regional turbulence continues, IS will be able to profit from people’s desperation. While IS may have gained international prominence for its criminal activities, it has also developed several more mainstream funding sources. Even before IS seized Mosul in June 2014, the organisation was collecting monthly taxes from business operations in Iraq, estimated between $6m to $8m a month. As the group has expanded its control over large areas of Iraq and Syria, its finances have only swelled. There are also revenues from agriculture, and IS has up to one third of Iraq’s wheat production at its disposal, as well as funds derived from the selling and smuggling of livestock. This is not to mention the vast resources that have been plundered. In one notable instance, IS managed to seize tens of millions of dollars from banks and government institutions after Mosul’s fall. Furthermore, IS controls resources such as hospitals, shopping centres, restaurants and power and water utilities, which provide millions of dollars in revenue every month. More lucratively, it has also taken possession of oil and gas resources in Iraq and Syria. More than80 minor oil fields are under its control, the products of which are sold either locally or internationally – either through the opening of oil trade pipelines through Iraqi Kurdistan or possibly the sale of oil to the Syrian regime. At the time, revenues were estimated by some$2m per day, although the UN in November 2014 believed that the “Jihadi” militants earned upwards of $850,000 a day from oil sales. The mix of falling global oil prices, US-led coalition targeting of IS-held oil sites, as well as international sanctions on all who trade with IS introduced in February, have helped to stem this. But while US officials said on 5 February that oil is no longer the main source of revenue for IS, the group has simply fallen back on its other revenue streams. It is still believed to have enough money to survive for two or three years, despite the huge amounts it needs to pay for its fighters, logistics, weapons, food, as well as to satisfy the inhabitants of its “state”. Another source of funding that will be virtually impossible to stamp out as long as IS controls any territory has been the imposition of royalties on the people there for what IS calls “services and protection”. Some Iraqi local sources have claimed that IS imposes 50 thousand dinars ($43) on each family, and the amount is doubled if the families refrain from letting their children join IS, according to a testimony by Sheikh Mohamad Abu Ziab, one of the prominent figures of Iraqi tribes in Neneve’s city. Hassan Abou Hanieh, a Jordanian researcher specialising in militant groups, has also concluded that IS’s funding network is not only extremely varied but much older than many would assume. 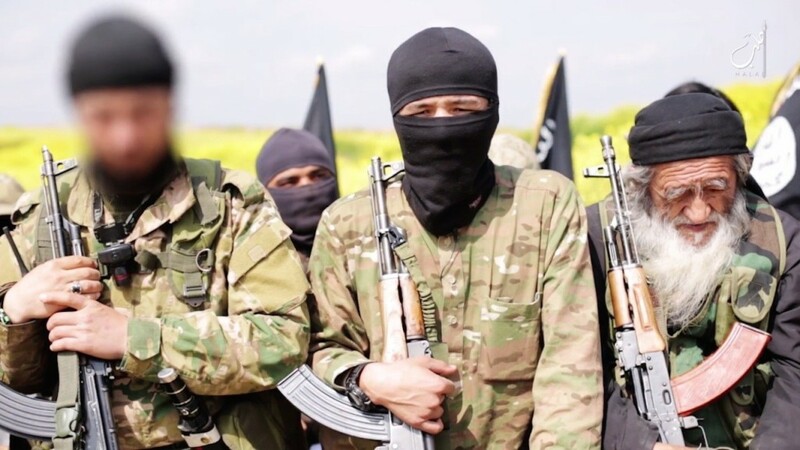 While IS only really burst onto the international stage recently, the group has skillfully built upon and adapted more traditional channels of jihadi funding. The Islamic State in Iraq and al-Sham (the Levant) was declared officially in April 2013, but the group was established in 2003, following the US occupation, by Abu Musab Al-Zarqawi under the name of al-Tawhid and al-Jihad group. He paid allegiance to al-Qaeda led by Osama Bin Laden in 2004. Following al-Zarqawi’s death, the group merged with a few local Iraqi groups under the name of the Islamic State of Iraq in 15 October 2006, and they selected Abu Omar al-Baghdadi as emir of the group/state. After the assassination of Baghdadi on 19 April 2010, the group’s leadership announced on 16 May 2010 that they had agreed to pledge allegiance to Abu Bakr al-Baghdadi as Emir of the Islamic State of Iraq. Hanieh believed that the group has had an effective financing committee since the foundation of “al-Tawhid and al-Jihad group” in 2004. He concluded that the group has relied on a network of fundraising activists who collect funds from businessmen and mosques, especially in wealthy Gulf States and Europe. Hanieh explained that IS announced its first cabinet during 2006, with ministries assigned to control revenues from oil and natural resources. Since declaring its caliphate on 29 June 2014, Abu Bakr al-Baghdadi has overseen the management of Bayt al-Mal [House of Finance], which is headed by Mowaffaq Mustafa al-Karmoosh. But the problem is not only contained to the areas controlled by IS. One of the main avenueshas been donations and grants gathered from wealthy Gulf citizens who supported and funded the organisation in both Iraq and Syria. Charity donations and income from Zakat – a form of obligatory alms-giving of a Muslim and paid to poor Muslims – have also helped bolster the coffers of groups like IS and al-Nusra. When it comes to foreign funding, the organisation has developed schemes that are difficult to uncover, despite intensive local and international monitoring. The organisation has networks tasked with collecting donations from wealthy individuals under the pretext of supporting jihad. Another such method uses established trading routes. According to Newsweek, the relatively open banking systems of some Gulf states were being skillfully exploited by IS, since “they do not automatically raise red flags when money is siphoned to Islamist causes”. These funds reach IS militants by circuitous route from such states “which operates as a clearinghouse for funds headed to Syria and Iraq,” according to the Washington think tank the Brookings Institution. Furthermore, IS is selling ancient Iraqi and Syrian artifacts in the black market to finance its military operations, according to Iraqi and Western officials as well as the UN cultural agency UNESCO. A BBC investigation found that the trade in antiquities is one of IS’s main sources of funding, and the precious goods have being trafficked across the Syrian border through Turkey and Lebanon to Europe. The UN has stepped up action against these various sources of funding and moved to clamp down on charitable donations, but external pressure is only a small part of the puzzle and the world will have to dig deeper if it wants to ultimately drain IS of its reserves. – Dr. Haytham Mouzahem is the director of Beirut Center for Middle East Studies. He is a Lebanese scholar, analyst and researcher specialising in the Middle East.